​The Community Senior Center coordinates seasonal outdoor activities suited to all ability levels. They can vary year to year depending on interest level, but typically include those listed here. Dates, times, locations and other details are listed in the weekly calendar. Nature hikes for all ability levels help improve fitness and provide opportunities to make new friends. Our nearby trails range from easy paths along the Winooski to moderate forest trails and more rigorous routes like the annual hike to the top of Camel’s Hump. 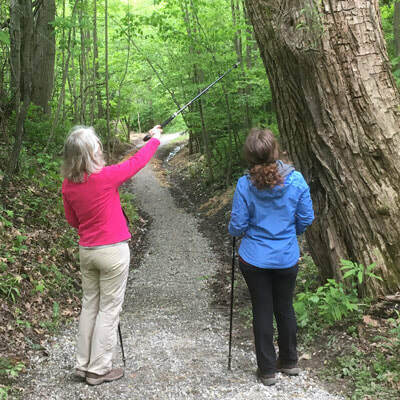 ​Nordic walking on flat terrain is an easy-paced year-round activity that helps improve overall fitness while having fun with fellow walkers. 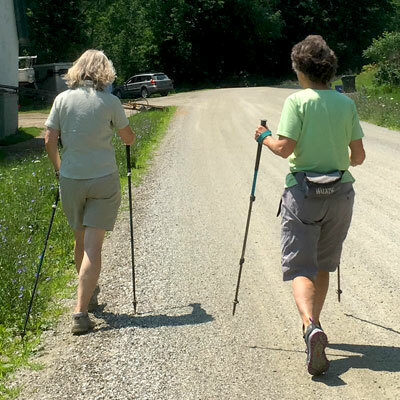 The use of hiking poles helps strengthen the upper body, while walking delivers cardio benefits. 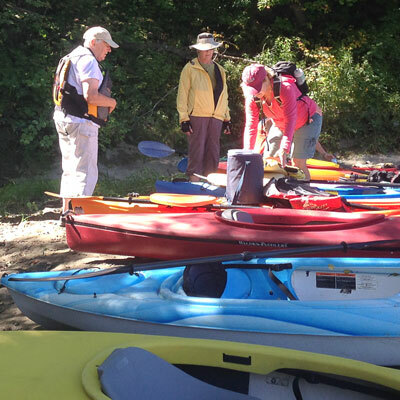 Kayaking offers excellent conditioning benefits and a chance to enjoy the beauty of the Winooski River and several nearby ponds and reservoirs. Knowledgeable guides lead groups of all abilities, and offer instruction and some history of the waterways in this easy-to-learn activity. 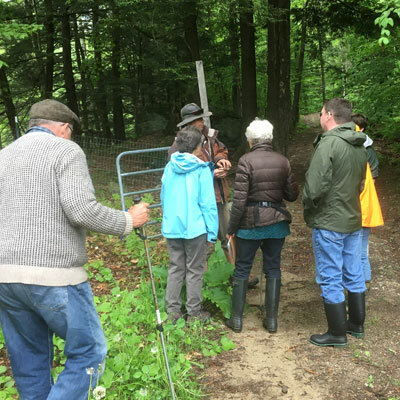 History walks combine exercise, social contact and a perspective on our towns' pasts. Local tour guides highlight points of architectural interest and offer anecdotes about residents and events from our heritage. Golf and croquet provide friendly competition and exercise at an enjoyable, easy pace. 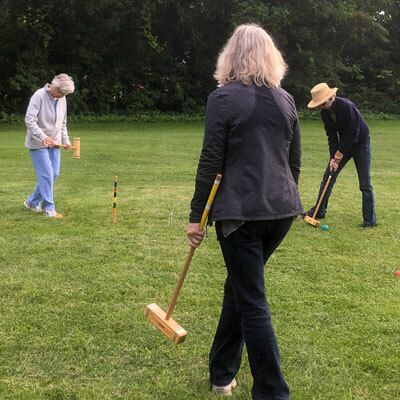 Croquet is played on local lawn areas, and veterans instruct newcomers. Group golf lessons and playing time are available at specially discounted Senior Center rates at an area course. Group skiing is a great way to meet and ski with other seniors at our nearby Bolton Valley ski area. Group ski lessons are also available from the facility’s instructors at special rates for Senior Center members.